Feature three of your best vertical oriented photos on canvas with the Limelight canvas photo arrangement. Your subject or subjects will be center stage with a single large photo canvas and two accompanying canvas prints on either side to highlight your memory. 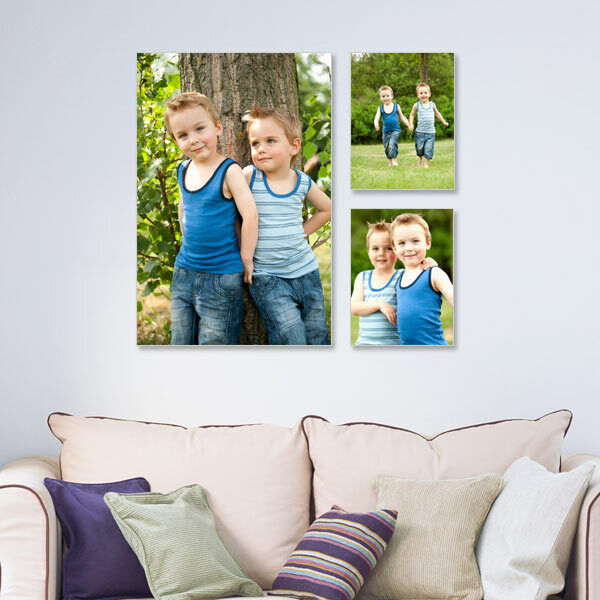 Easily spread the LimeLight outwards by adding same size canvas prints to either side filling a long wall or hallway with photos on canvas, just like a gallery.